Good news, kids -- the solar-powered jet with globetrotting ambitions has started sneaking out of the hangar and onto the runway for some mild exercise in the form of landing gear and taxi testing. 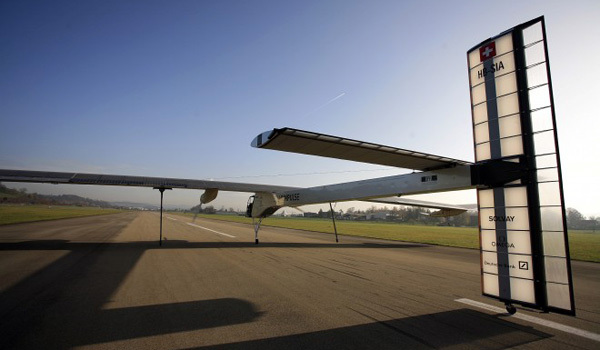 Captained by Bertrand Piccard -- a real person -- the Solar Impulse project is still on track for a 2012 globe circumnavigation attempt powered only by the sun's rays from above and the well-wishes from below. The humongous bird is described as having "the wingspan of an Airbus and the weight of a car," and its recent outdoorsy jaunts have done nothing to dampen spirits, making that roadmap for its first flight early next year seem entirely viable. We've got no less than three videos for you after the break, but we won't mind if you only watch one.